The context may well be political, but the content is deeply personal. Dolkar is orphaned by occupation, that of Tibet by China. Her present is counterpointed by flashing back to her perilous escape from Tibet. 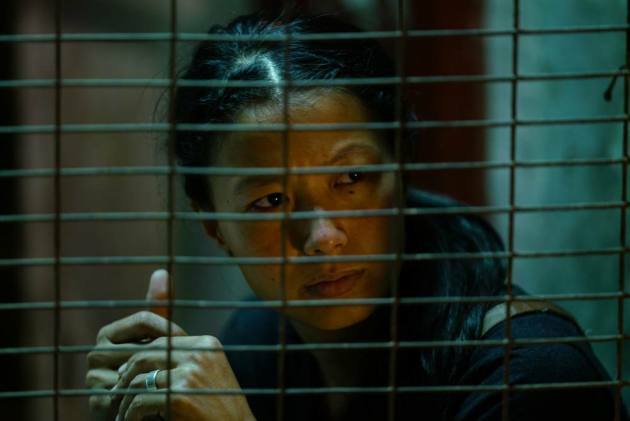 Tenzin Dolker plays Dolkar, a Tibetan exile living in Delhi, in the film, The Sweet Requiem, which had its world premiere at the Toronto International Film Festival or TIFF. In the beginning of the film, there’s the celebration of a 26th birthday. But as friends gather to party, the merriment is tinged with melancholy. After all, the person at its centre is Dolkar, a Tibetan exile, living in a North Delhi locality. That's our introduction to the focal character, played impressively by newcomer Tenzin Dolker, in the film The Sweet Requiem (Kyoyang Ngarmo), which had its world premiere at the Toronto International Film Festival or TIFF. Filmmakers Ritu Sarin and Tenzing Sonam offer a document of the inner lives of a community of refugees. The context may well be political, but the content is deeply personal. Dolkar is orphaned by occupation, that of Tibet by China. Her present is counterpointed by flashing back to her perilous escape from Tibet, a journey that began by leaving her mother and sister behind. In one scene, as she prepares for her morning ritual prayers, Dolkar meditatively has a palm placed over a flame, her face a mirror of troubled thoughts before she finally flinches. That powerful scene follows another the previous night, when she streamed a video of yet another self-immolation in Lhasa. Sarin and Sonam are subtle in presenting this potent narrative of dislocation. Dolkar’s isolation is conveyed by her frequent attempts to contact those left behind, and the frustration and fear at play upon her face as an automated message repeatedly informs her the number she has dialed cannot be reached. That, in itself, is symbolic of the disconnection as time advances. Scenes depicting the harsh landscape of Tibet were shot in Ladakh, yet another reminder that the refugees’ homeland of the past remains out of reach for those exiled. Sometimes the past impinges upon the now as with the appearance in the colony of an escapee, a man who served as the guide for the small troop, including the child Dolkar, that fled Tibet. His perceived betrayal led to tragic consequences, and the arrival of Tibetan-origin agents of Beijing at his doorstep now heightens Dolkar’s sense of persecution. As China's censorious gaze wanders beyond its borders, having the mainly Tibetan-language The Sweet Requiem premiere at a platform as prominent as TIFF is an achievement in itself. Of course, it deserves to be at the global event on creative merit alone and if it manages to travel further, across many more screens, this drama of displacement will prove an able document to a refugee crisis that has gradually receded from our conscience. That makes this movie a bittersweet act of remembrance, the requiem of its title.